The basic purpose of getting your car insured is to get a financial cover in case of mishaps. By honoring a genuine claim, an insurer fulfills the promise made to the policyholder. Be it an accident or theft of your insured vehicle, your insurer understands that you are already distressed because of the loss you have suffered. However, the claimant needs to follow a predetermined set of steps in order to get the claim settled. To file an insurance claim, get in touch directly with your insurer. The first step is to get your claim registered with the company that insured your car. Next step is to file the paperwork required by the investigator to deem your claim as genuine. In the meantime, your car will be sent to a garage in your insurer’s network in case of a cashless motor insurance claim. The extent of damage will be estimated at this stage. If your claim is settled, you don’t have to pay for getting the damages repaired. However, after getting the damages repaired you need to pay the compulsory and/or voluntary deductibles. In case of a reimbursement claim, your insurer will repay the money you spent on getting your car repaired, after subtracting the deductibles. Raising an insurance claim can be slightly overwhelming as you have already suffered some or the other kind of loss. But, nowadays insurers have opted a customer-centric approach because of which you face the least amount of hassle. However, if you are already aware of the do’s and don’ts of raising a claim, the process will be smoother and the chances of your claim being honored become higher. Irrespective of the kind of claim you raise, intimating the police is important. The first information report will depict the scene of an accident in a proper format. This will help your insurer to gauge the situation in a better way. Nowadays claimants do not have to rely on the insurance agent to do the formalities for them. Raising a claim is easier with improving technology. Get in touch with your insurer’s customer care service to understand the car insurance claim process followed by them. Keep all the information handy while filling the claim form. This includes your credentials, policy details and information of the insured car. A simple typographical mistake can send incorrect information to your insurer. In case of an accident, the third party may offer on-the-spot settlements. It could be far less than the actual cost of getting the damages repaired. It’s always a good idea to ask for the policy details of the third party to raise a claim. Depending on the type of car insurance claim, your insurer would have set the timeline for raising a claim. Get in touch with your insurer to know the exact number of days in which you need to file your claim. The timelines are set to avoid consequential loss occurring due to the continued use of a damaged vehicle. However, in case of a serious accident where the owner of the insured car is injured severely and hospitalized, the insurer may consider revoking the timelines. Only a genuine claim is honored by insurance companies. 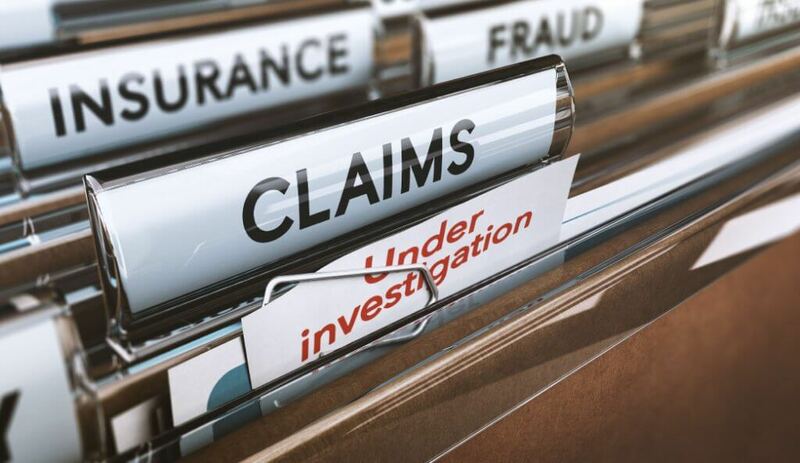 If a fraudulent claim is detected, the track record of the claimant is soiled. Always be honest about an incident that took place and file a genuine claim. To honor a claim, the insurer needs to understand the details of the incident. By filing a claim, you are conveying these details to your insurer. Following the claim process and being honest about the claim increases the chances of your claim being settled. How To Purchase An Affordable Car Insurance Plan? How to Calculate Car Insurance Premium?